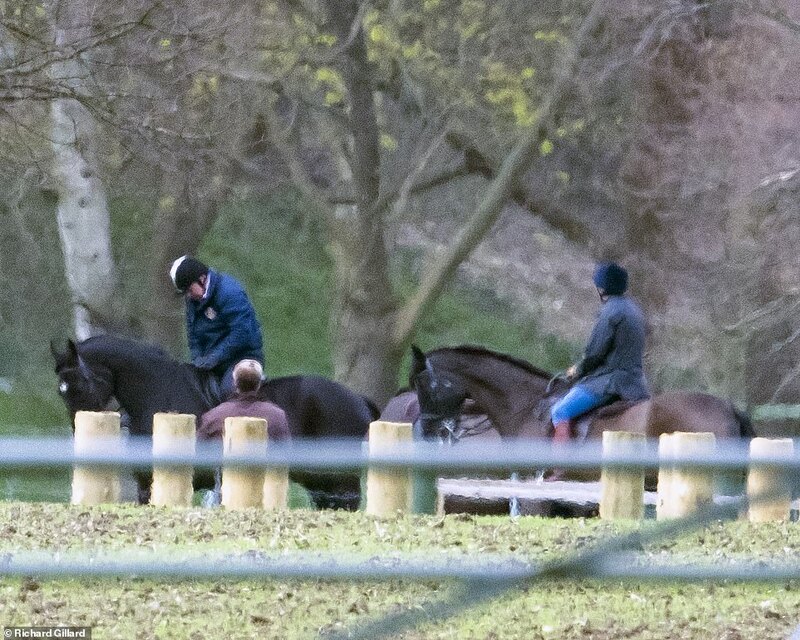 Princess Beatrice and her father Prince Andrew were seen riding horses together in Windsor amid rumours the young royal is thinking about tying the knot with her new boyfriend. 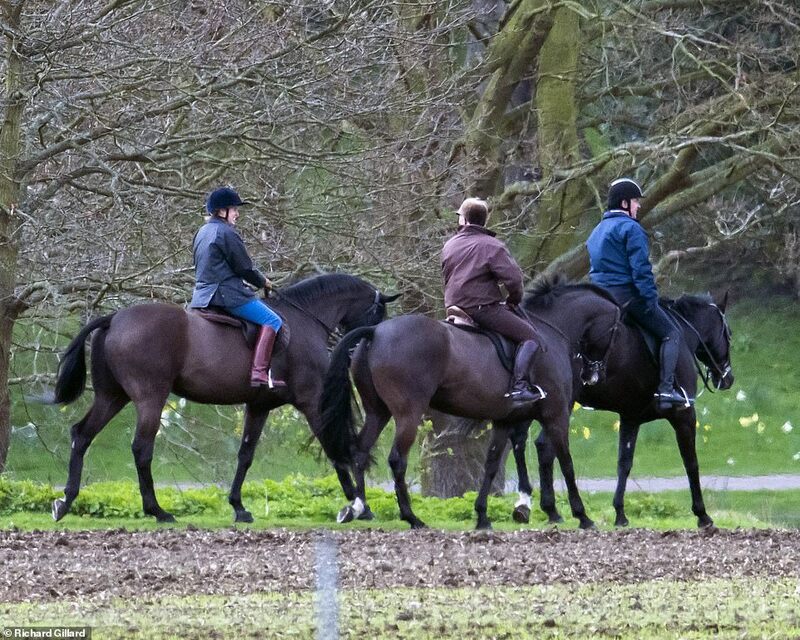 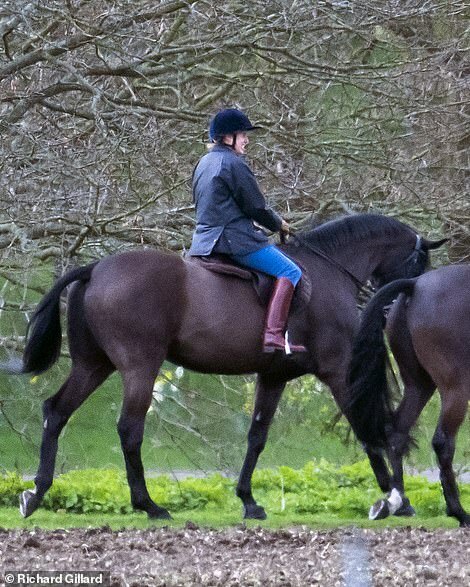 The princess, currently eighth in line to the throne, was seen riding with the 59-year-old Duke of York, who appeared to struggle slightly as he mounted his horse. 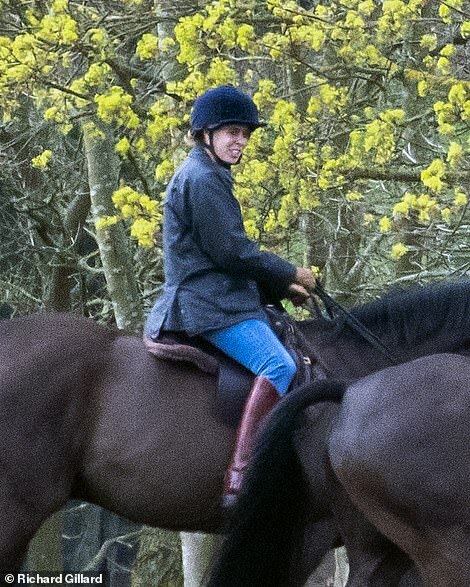 Beatrice, 30, was seemingly amused as her father, a veteran of the Falklands War who holds the rank of Commander and honorary rank of Vice Admiral in the Royal Navy, climbed atop the animal during their afternoon gallop. 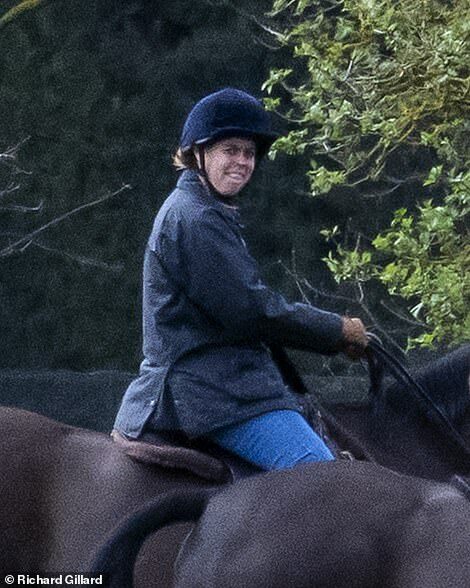 The young princess is rumoured to be eager to settle down with her new multi-millionaire property magnate boyfriend Edoardo Mapelli Mozzi, and is said to be considering starting a family after seeing her younger sister Princess Eugenie, who turned 29 today, find happiness with husband Jack Brooksbank. Last week speculation was growing that an engagement might be on the cards after Beatrice appeared alongside Mr Mapelli Mozzi at a red carpet bash. 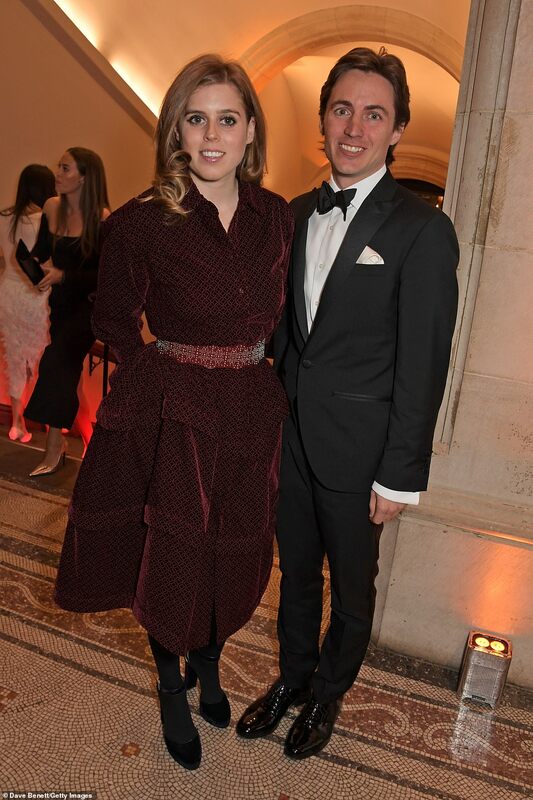 The couple attended an A-list gala fundraiser at the National Portrait Gallery on March 12 – which was also attended by the Duchess of Cambridge and the late Princess Margaret’s son Earl Snowdon. 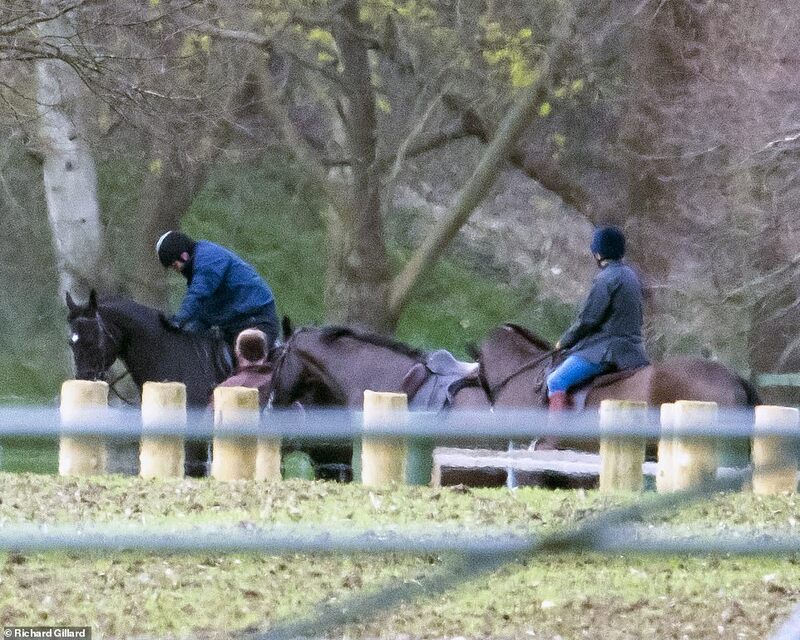 Beatrice and Edoardo, a 34-year-old divorcé and father to a two-year-old son, are ‘totally head-over-heels in love and now happy for everyone to see it’, a royal source previously told MailOnline. 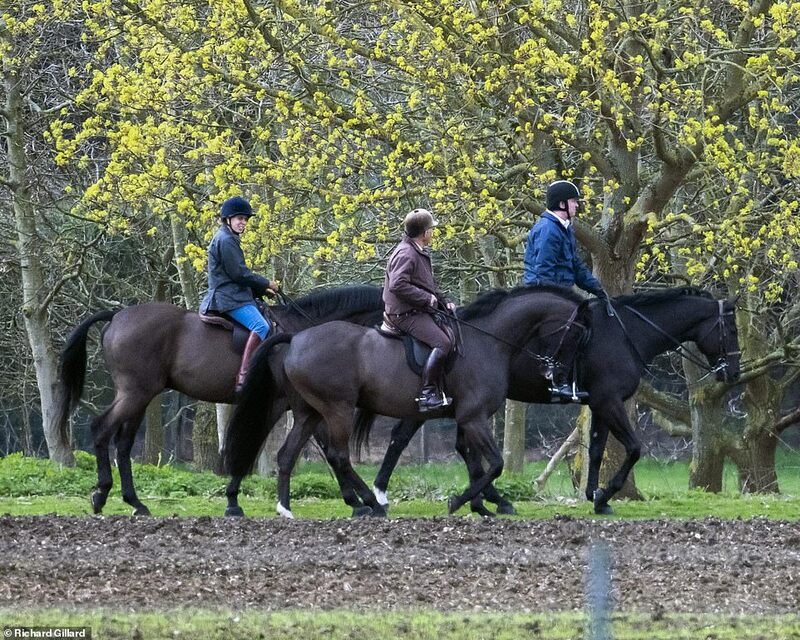 A source had told MailOnline Mr Mapelli Mozzi and Beatrice ‘make a very handsome couple indeed’, and the princess’ new partner was very popular among Beatrice’s family. 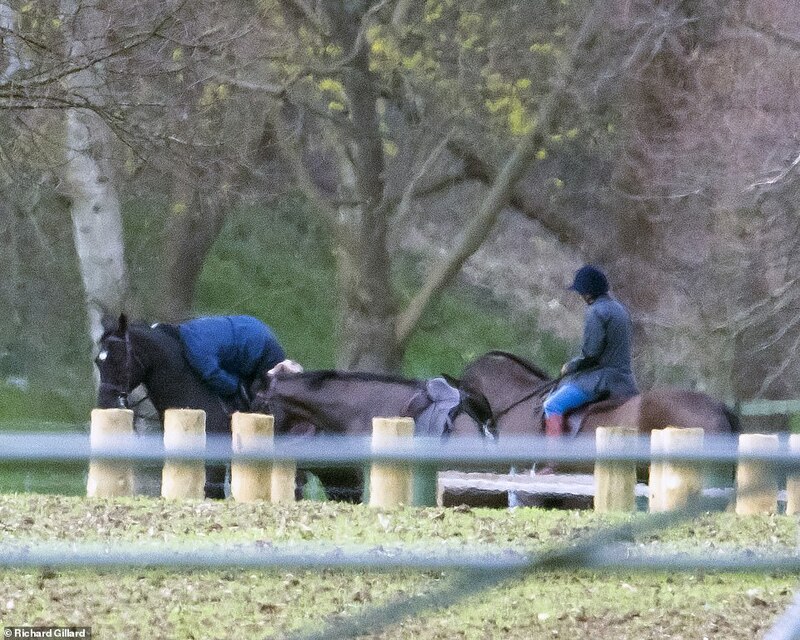 The source told had said: ‘I expect there could be an announcement of an engagement by the Autumn with a wedding at St George’s Chapel in spring next year. 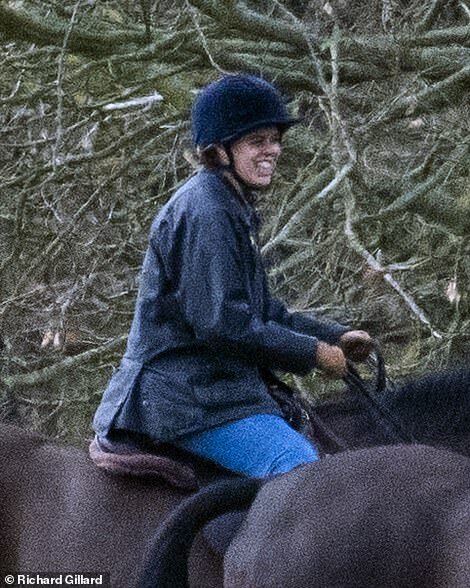 Beatrice had been single since her breakup from American boyfriend of 10 years Dave Clark in 2016.